Riding on Jasprit Bumrah's second 5-wicket haul in Test cricket, India inched closer to victory needing just one more wicket to register their first win in the 5-match series. England ended Day 4 of the Trent Bridge Test with 311 for 9 on the board. Adil Rashid (30) and James Anderson (8) were unbeaten at stumps as an extended session came to the end. Chasing a mammoth 521 runs in the fourth innings, England were reeling on 84 for four at lunch on Day 4 but a terrific 169-run partnership between Jos Buttler and Ben Stokes frustrated the Indian bowlers. The duo batted out the entire second session and most part of the third session as the bowlers failed to break the partnership. Even spinner Ravichandran Ashwin proved ineffective as both the batsmen played him with ease. It was the second new ball, that did the trick for India as Virat Kohli took it straightaway after the completion of 80 overs. 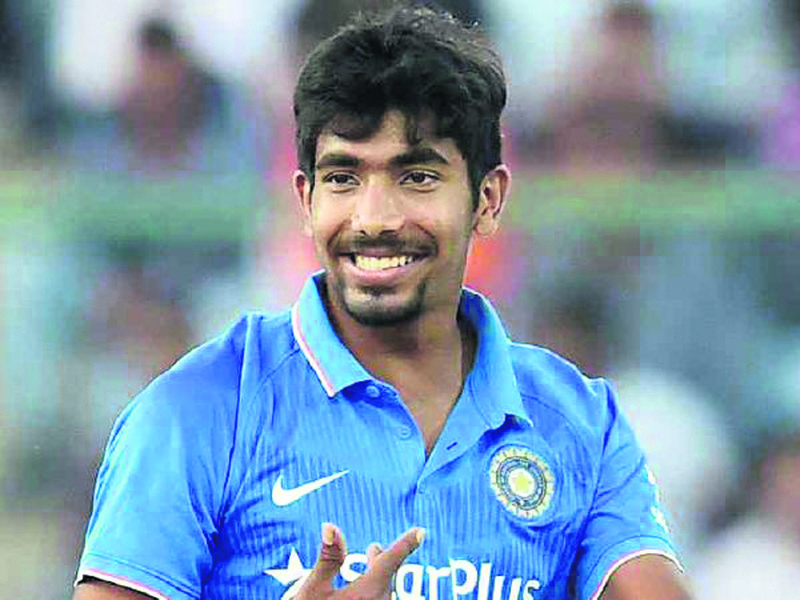 Jasprit Bumrah wreaked havoc dismissing Jos Buttler (106) and Jonny Bairstow (for a duck) on consecutive deliveries. In his next over, Bumrah dismissed Chris Woakes with a bouncer for 7 runs. Hardik Pandya joined the party, dismissing well set Ben Stokes (62) with a beautiful delivery. Although Stuart Borad and Adil Rashid notched up a quick-fire 50-run partnership but Bumrah dismissed Broad to claim his fifth wicket of the innings. With just one wicket remaining, India will look to wrap up the game early on Day 5. Cricket correspondent Scyld Berry praised Virat Kohli's patience and his preparedness to leave the ball for whole maiden overs at a time. Truly he can now be said to have mastered England conditions, scoring 200 runs at Trend Bridge as at Edgbaston. One of Kohli's titles has to be the best one-day international batsman ever, yet here he was content to accumulate 46 runs in the morning, and 39 in the afternoon, in order to wear down England seamers - a vital tactic in a five -match series- before reaching his 23rd test century after tea. One of the major nauseating phrase in cricketing vogue- if not quite so bad as saying ‘he won’t mind that!’ when Anderson is driven for four – is earning the right. But that is what Kohli did, by grinding England down in his third wicket stand of 113 with Cheteshwar Pujara, who scratched and scraped together his highest Test score in England; earning the right to have a thrash after the first and second balls had been dulled. Hardik Pandya thereupon reiterated what a fine all-rounder in the making he is by hitting a run-a-ball fifty. But the biggest and nastiest surprise ever in this city came when England's cricketers discovered they had been out-batted, our-bowled and out-fielded by India in quintessentially English Conditions. India-piloted and pumped up by their captain, Virat Kohli – have averaged 40 runs per wicket in the Test, England 18 so far. With England needing another 498 to win, and only 10 fit men to bat as Jonny Bairstow has a broken middle finger on his left hand, the first main question is whether India will put the series back to 2-1 on day four or five.